Product information "MIIC-213G iPort/AFM 2 RS-232 to I2C Host Adapter with ASCII Fast Mode and Circuit Sense, Global Powe"
throughput, and adds our 0.5v to 5v Circuit Sense bus voltage sensing technology. • Turn ANY Computer's legacy or add-on RS-232 Serial Port into an I2C Bus Port. • Supports 7-bit addressing Standard (100k) and Fast (400k) Mode I2C Bus Activity. • High Performance Processor Increases Throughput (2x+). 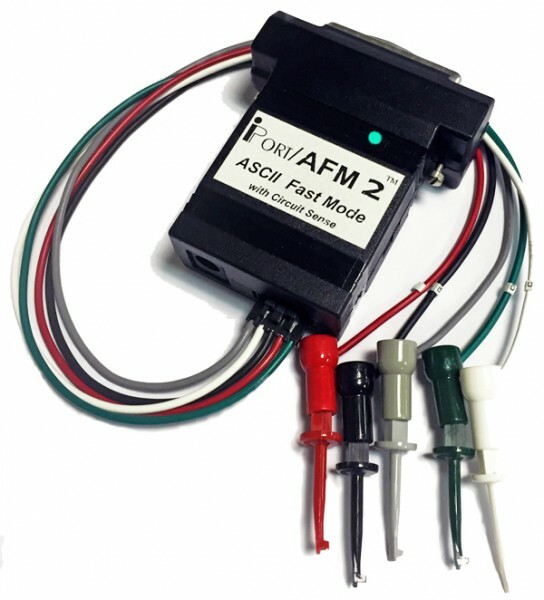 Related links to "MIIC-213G iPort/AFM 2 RS-232 to I2C Host Adapter with ASCII Fast Mode and Circuit Sense, Global Powe"
Customer evaluation for "MIIC-213G iPort/AFM 2 RS-232 to I2C Host Adapter with ASCII Fast Mode and Circuit Sense, Global Powe"